In early June 2015 thirty two determined Redway Runner members embarked on the running club’s inaugural “Zero to Hero (Z2H)” programme. The objective is to take the 25 ladies and 7 men from novice status to marathon runner in a year. 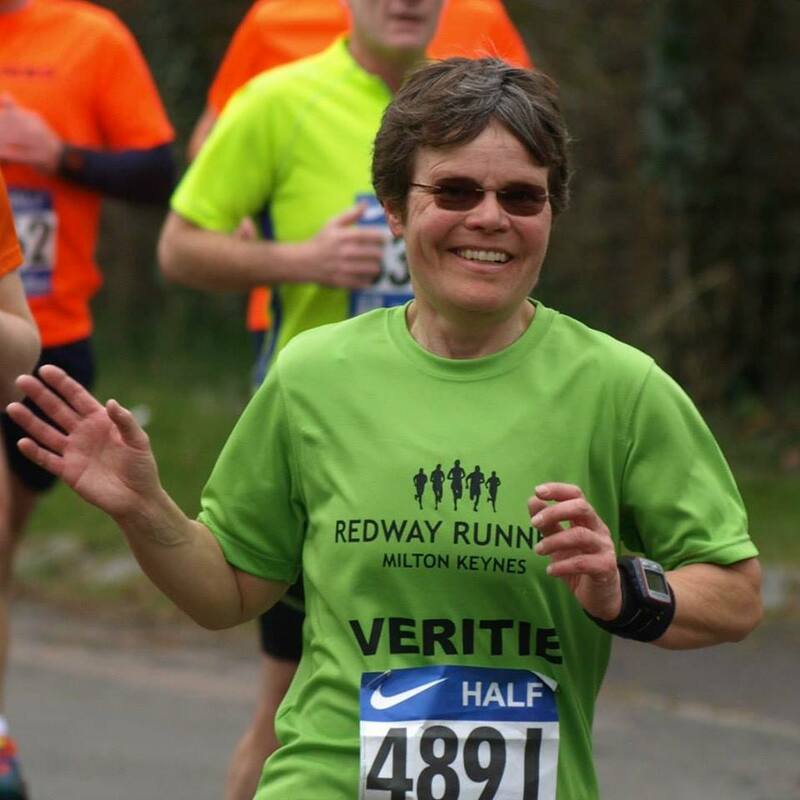 The final goal is to run the Milton Keynes Marathon on 2 May 2016. All 32 were assigned mentors and encouraged to use the many club activities to prepare themselves for their long and testing journey. Last Saturday saw the first major milestone on that journey when the participants ran with their mentors in the 5k MK parkrun at Willen. All passed with flying colours and now move on to the next milestone of completing a 10k race in September. 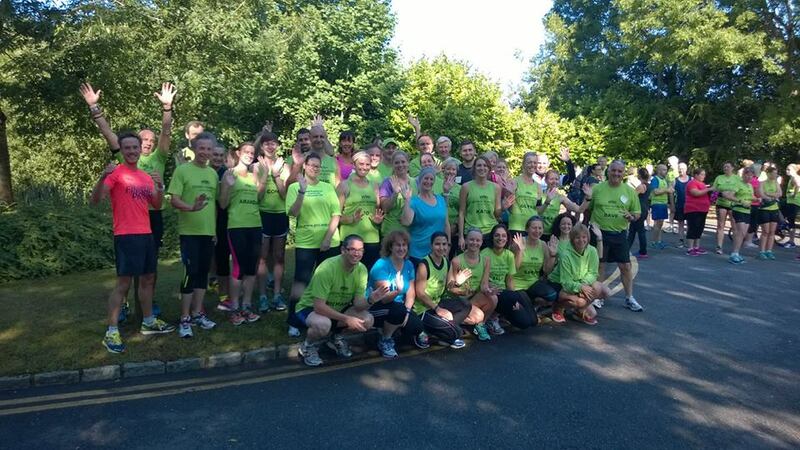 Joining the Z2H participants at the parkrun was the latest batch of 40 Redway Runner beginners that have successfully made it through their 8 week beginner programme. 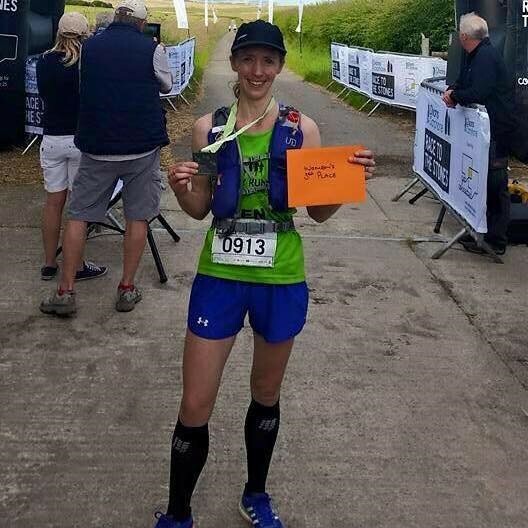 There was also an amazing achievement by 47 year old club member Veritie Yates who completed the prestigious 100 mile “Ultra Tour of the Lake District” race in an impressive 37 hours and 35 minutes coming 17th overall lady. 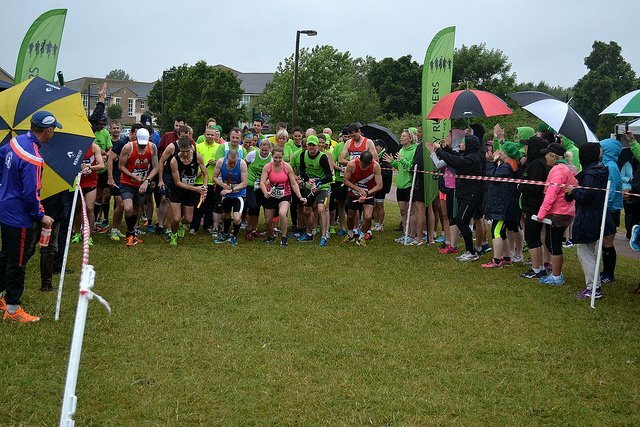 On Sunday the Redway Runners hosted the annual “Furzton Relay” event which saw 41 teams of 4 runners run tirelessly around a soaking wet Furzton Lake in search of a trophy. The winning team was “AFF Fantastic Four” in 56.40. Redway Runner team “Three men and a (very quick) lady” came 2nd in 57.56 and “Shenley Saints” were 3rd in 59.49. In early June 2015 thirty-two determined Redway Runner members embarked on the running club’s inaugural “Zero to Hero (Z2H)” programme. The objective is to take the 25 ladies and 7 men from novice status to marathon runner in a year. The final goal is to run the Milton Keynes Marathon on 2 May 2016. All 32 were assigned mentors and encouraged to use the many club activities to prepare themselves for their long and testing journey. Redway Runners Press Release 13 July 2015 Redway Runners memorable weekend What a weekend for members of the Redway Runners! 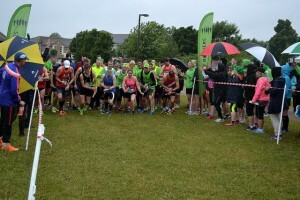 Hundreds of the Milton Keynes running club members took part in running and multisport events around the UK and overseas with many notable achievements among them. The 100km “Race to the Stones” event included 4 Redway Runners. Jennifer Sangster was placed 3rd overall lady and 1st over 40 lady in an amazing time of 10 hours and 50 minutes. Kassia Gardner was placed 6th lady overall in the overnight event with a time of 11 hours and 55 minutes. Dennis Verhoeven (15.58) and Adam Sharman (16.19) also completed the gruelling event in impressive times. 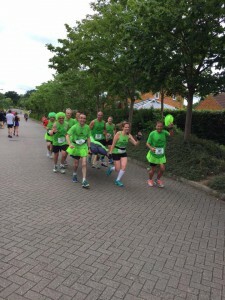 The main event for Redway Runners members was the NSPCC Milton Keynes Half Marathon. 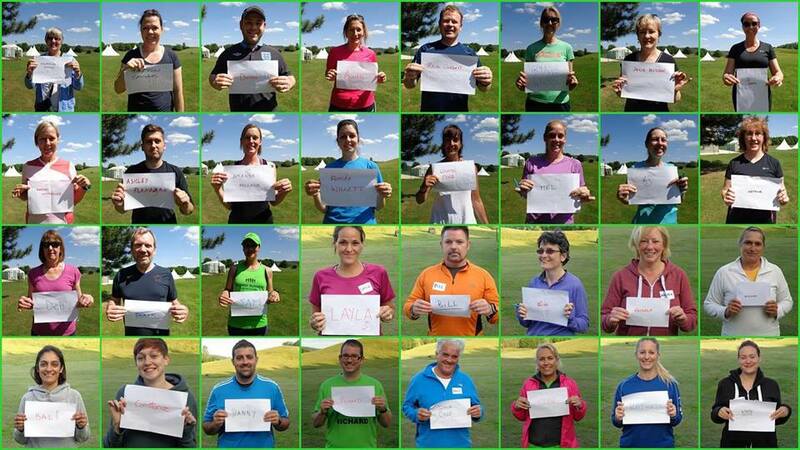 62 club members represented the green shirts in this high profile local event. There were some notable performances at all levels of ability. Ben Fairhall was placed 3rd overall in the event with a time of 1.14.48. Abi Gooch was the first club lady home in a personal best time of 1.36.40. Personal bests were also recorded by Dawn Blaber (1.49.44), Lindsay O’Kane (1.50.58) and Niam Hani (2.04.34). In keeping with previous years at the NSPCC event, Redway Runners introduce some fun into their participation. Previous years have seen a band playing around the course and the wearing of green tutus! 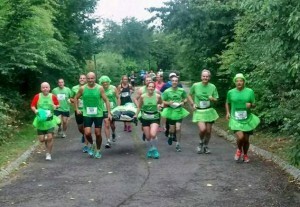 This year saw a group of green shirted runners carrying a stretcher with “Sally the Dummy” on board. Sally (bib number 900), and the group, recorded a time of 2.16.42. Well done to all who took part. Club members also took part in 2 multisport events. Nicole Clarke represented Great Britain in her age group for the European Triathlon Championships in Geneva. Nicole came a credible 23rd. Sarah King and Jane Ritchie took part in the St. Neots Triathlon. Sarah, in her first triathlon, was impressively 2nd overall lady and Jane placed 1st in her age group. Well done ladies! New members of any ability are always welcome at the club. What a weekend for members of the Redway Runners! Hundreds of the Milton Keynes running club members took part in running and multisport events around the UK and overseas with many notable achievements among them. The 100km “Race to the Stones” event included 4 Redway Runners. Jennifer Sangster was placed 3rd overall lady and 1st over 40 lady in an amazing time of 10 hours and 50 minutes. Kassia Gardner was placed 6th lady overall in the overnight event with a time of 11 hours and 55 minutes. Dennis Verhoeven (15.58) and Adam Sharman (16.19) also completed the gruelling event in impressive times. The main event for Redway Runners members was the NSPCC Milton Keynes Half Marathon. 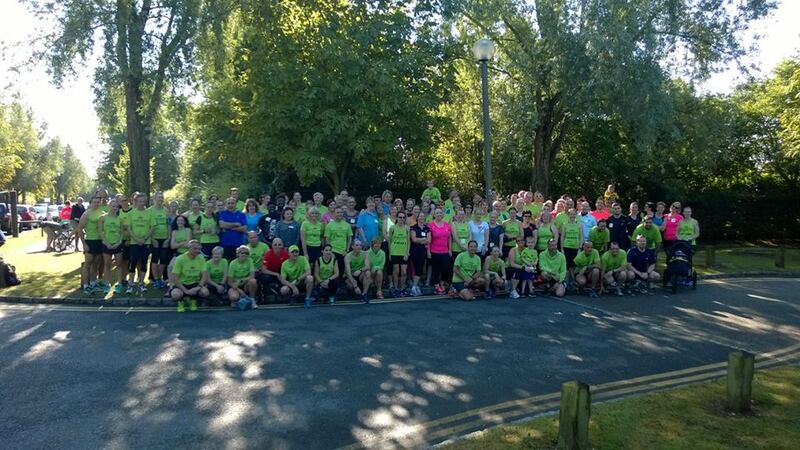 62 club members represented the green shirts in this high profile local event. There were some notable performances at all levels of ability. Ben Fairhall was placed 3rd overall in the event with a time of 1.14.48. Abi Gooch was the first club lady home in a personal best time of 1.36.40. Personal bests were also recorded by Dawn Blaber (1.49.44), Lindsay O’Kane (1.50.58) and Niam Hani (2.04.34). In keeping with previous years at the NSPCC event, Redway Runners introduce some fun into their participation. Previous years have seen a band playing around the course and the wearing of green tutus! This year saw a group of green shirted runners carrying a stretcher with “Sally the Dummy” on board. Sally (bib number 900), and the group, recorded a time of 2.16.42. Well done to all who took part. Club members also took part in 2 multisport events. Nicole Clarke represented Great Britain in her age group for the European Triathlon Championships in Geneva. Nicole came a credible 23rd. Sarah King and Jane Ritchie took part in the St. Neots Triathlon. Sarah, in her first triathlon, was impressively 2nd overall lady and Jane placed 1st in her age group. Well done ladies!